12km north of Brignoles on the D22. 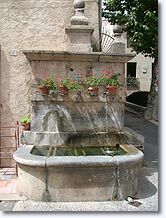 Monfort sur Argens is a very old village of Moyen Var. 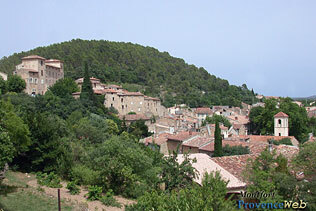 It is overlooked by the only Templar castle of Var and itself overlooks the beautiful plains of Argens. 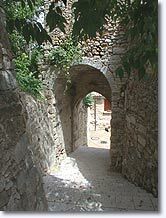 The old part is worth a detour : while going up to the castle one can discover the ruins ot the ramparts, and a portcullis of the eighteenth century. 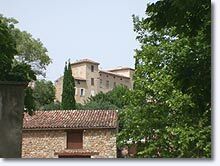 While wandering about in the vicinity, you can admire Ligure de Casteau- Rigneau, the Priory of Speluques, Gallo-Roman ruins, the aqueduct of Pont des Mouo and the waterfall of Grand Baou. 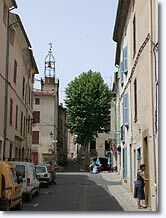 There is a definite charm in the old houses with their roofs of tiles all nestled against the castle and separated by tiny streets. It is nice to live here. The air of Monfort sur Argens is so pure that it is recommended for children and all those who need rest and relaxation. One last detail: this is the town ot Joseph- Louis Lambot, the inventor of reinforced concrete. 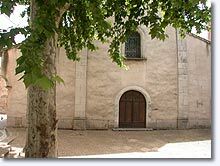 St. Blaise Chapel. 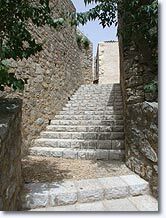 Hospitaliers castle. 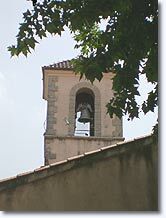 The clock tower. The Joseph-Louis Lambot House. Climbing, kayaking on the Argens,. Tennis. Horseback riding. Mountain biking. Fishing. 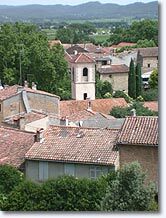 Overnight gites open all year round. Correns (4 km), Le Val (7 km), Carcès (7 km) and Cotignac (8 km).